The proposed name change comes just weeks before D.C. residents will vote whether to approve the constitution drawn up by the commission — a crucial step in District officials' plan for statehood status for the capital city. That’s the name offered up by Ward 2 council member Jack Evans in a measure unanimously approved Tuesday by the D.C. Council. Evans’ amendment strikes all mentions of the name “New Columbia” from a draft constitution published this summer by a special five-member D.C. Statehood Commission led by D.C. Mayor Muriel Bowser. Ward 6 council member Charles Allen then offered a follow-up amendment to state that the “D.C.” in the new name would stand not for District of Columbia, as it has for the past 225 years, but for “Douglass Commonwealth” — a nod to the influence of abolitionist Frederick Douglass in the formation of the city. 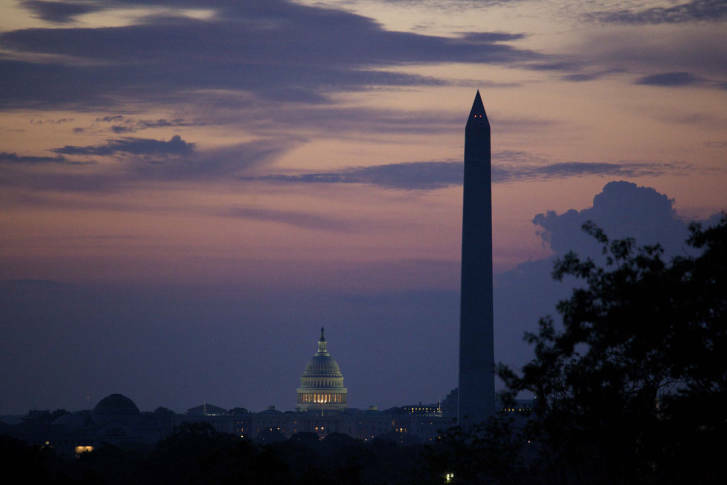 The proposed name change comes just weeks before D.C. residents will vote whether to approve the constitution drawn up by the commission — a crucial step in District officials’ plan for statehood status for the capital city. The name New Columbia, which has long been associated with the statehood movement, was originally approved by D.C. voters in the early 1980s. The amendment to drop New Columbia from the latest statehood push passed the council unanimously to resounding applause. Voters will have the final decision on both the name and the draft constitution in an advisory referendum Nov. 8. Elissa Silverman, an at-large member of the council, said that could “create some kind of voter confusion,” although the council’s general counsel said the name switch wouldn’t pose a legal challenge to the effort. Beyond that, D.C.’s push for statehood, which must be approved by the U.S. Congress, remains a long-shot effort. If D.C. voters approve the proposed constitution, officials plan to formally petition the president and Congress in January 2017.